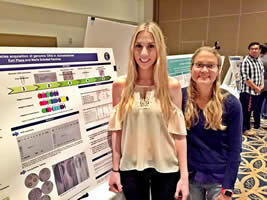 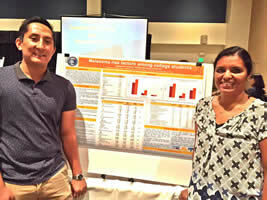 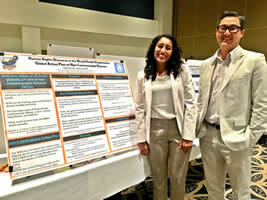 Several undergraduate and graduate students supported by HPRI faculty members were among the 60 students who presented their research findings during CSUF’s second Student Creative Activities and Research Day event, held April 12th at the Titan Student Union. 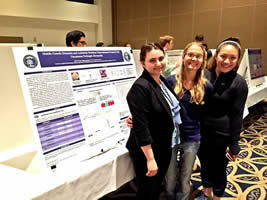 See below for a sample of these projects. 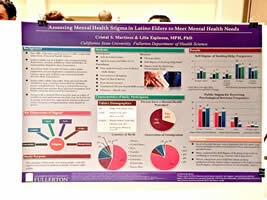 Advisors: Archana McEligot, PhD and Feng Liu-Smith, Ph.D.
Advisor: Lilia Espinoza, MPH, Ph.D.
Advisor: Maria Soledad Ramirez, Ph.D.
Advisor: Maria Soldedad Ramirez, Ph.D.